Carpet is one of the most popular flooring choices for homeowners, bringing a feeling of warmth to your rooms while maintaining comfort underfoot. However, something as simple as a hard-to-remove stain or signs of aging can leave your carpets looking far from their best. Here are some of the most useful tips we’d like to share with you. We’ve all heard the rule about how regular vacuuming keeps carpets looking clean, but how frequently should it be done? RULE OF THUMB: People + Pets in your home = number of times you should vacuum each week. So, if you have 3 people and a dog, your house should be vacuumed 4 times a week. This may seem like a lot, and for many of us, you’d be lucky if we dig out the vacuum once a week, if that. However, if you want to keep your carpets looking good, frequent vacuuming is key. 74-79% of dirt on your carpets is insoluble soils; meaning they won’t dissolve in water or cleaning agents. Dirt, hair, sand, and gravel are some of the most common ones, and if not vacuumed, they’ll start to leave your carpets looking dingy and dirty. TOP TIP: Take care of your carpets now before they reach a level that won’t allow them to get back to the “new” look. What better way to minimize dirt and particles entering your home than by capturing them at the door? RULE OF THUMB: Although only a small addition, walk-off mats placed at every entrance can minimize the amount of insoluble soils (dirt, hair, gravel, soil) brought into your home and tracked onto your floors. Having guests and residents wipe their shoes off before entering will significantly reduce the wear and tear on your carpets. However, just like carpets, walk-off mats need to be shaken out or vacuumed regularly to remove all of the buildup trapped from people’s shoes. If not, replace after a few months or they’ll lose their effectiveness. TOP TIP: The best option is to have people take off their shoes before entering your home. Leading carpet manufacturers such as Shaw and Mohawk recommend having your carpets cleaned at least once a year or twice a year if you have pets. RULE OF THUMB: If your carpets look dirty, it’s past due to get them cleaned. We typically wear clothing once before it gets tossed in the laundry basket, even though it may not be visibly dirty. The same applies to your carpets and rugs. Carpets act as a filter system to air flowing through the home. While some particles get tracked into the crevices of your hardwood floors, most of it gets trapped in your carpets and area rugs. A carpet may look clean, but over the course of the year, over 40lbs of dirt, dander, hair, sand, gravel, etc., build up in the fibers. TOP TIP: Don’t wait until you see dirt build up. To keep your carpets looking close to 100%, get them cleaned at least once a year, if not more. Many of us may not be aware that carpets installed today have a protector (Scotchgard) already applied to the fibers. Although this is great news, due to normal wear and tear, it still needs to be reapplied once a year or after every carpet clean. RULE OF THUMB: To maintain a carpet’s quality, we recommend applying a premium grade protector to them after you get them cleaned. After carpet cleaning, the protective solution applied to your new carpet loses its effectiveness due to the heat and cleaning solutions used, as well as simple wear and tear over the year. TOP TIP: Protectors may seem expensive, but they’ll save you thousands of dollars in the years to come. Have you ever noticed your carpet is darker along the baseboards and entryways compared to the rest of the area? These are ‘filtration marks,’ caused by failing to change your air filters on a regular basis. RULE OF THUMB: Not changing air filters causes filtration soiling – the accumulation of airborne dust and pollutants which infiltrate and exfiltrate the home, causing dark lines along baseboards, stairs, and around doorways. Although they can be treated by your carpet cleaning company, it can be fairly expensive due to the processes employed. Avoid by simply changing the filters every 3-4 months. TOP TIP: Check out The Filter Box, a family owned business in Charlotte who delivers air filters directly to your door when you need them. They even set you up on your own schedule and dispose of any old filters for you if you choose their installation service! Vacuum frequently; at least once a week. Place walk-off mats at every entrance. Clean carpets at least once a year. Protect your carpets after every clean. Change air filters every few months. We hope you’ve learned some valuable tips from this, so start implementing these rules into your home’s routine. When you need to arrange your professional carpet clean, NewGen Restores is here to help. 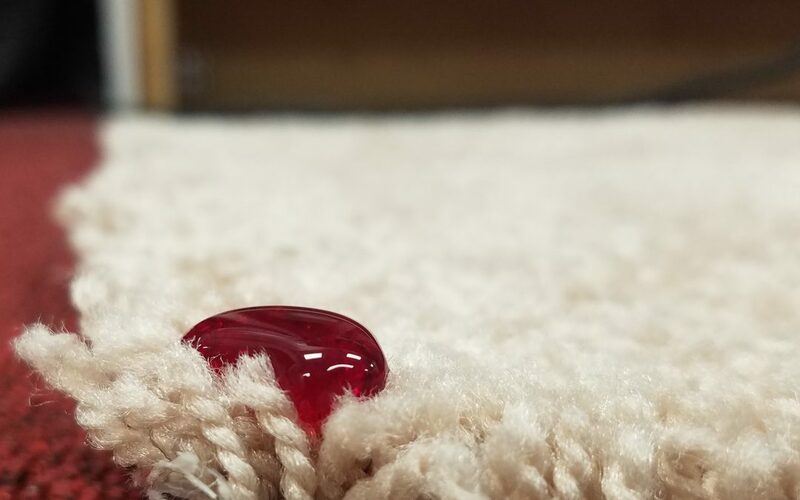 With over 25 years of experience, our team knows all the tricks for restoring your carpets to look and smell fresh, as well as tackling the toughest of stains. NewGen Restores is a carpet cleaning and floor care specialist offering solutions for both residential and commercial clients. With over 25 years of experience, our team offer professional cleaning services and tackle the toughest of stains. Fill out the form for a quote!